The TSA announced it is banning all ink cartridges larger than 16 ounces from passengers’ carry-on and checked bags. The move is a response to the recent attempt by Yemeni terrorists to bring down cargo planes using bombs hidden in ink and toner cartridges. The ban is part of a larger movement to strengthen security: Cargo from Yemen and Somalia has been banned, and no “high risk” cargo will be allowed on passenger planes. In an unrelated move, it seems all belts must now come off during airport security checkpoints. Apparently, belt buckles, metal or otherwise, cause false positives on body scanning machines, and therefore must be removed. But instead of applying the rule only to passengers going through body scanners, the TSA decided to simply make it a blanket policy, meaning passengers nowhere near a body scanner still have to take their belts off. The rule even applies to pilots. I have to be honest with you—writing about the TSA is exhausting. Each time word breaks of some new policy or other, I (and others) find myself asking, What on earth are they thinking? The problem here isn’t ink cartridges, but rather that no one has found a surefire way to detect bomb materials passing through our air system. In fact, these bombs passed undetected through several layers of security. It was an intelligence win more than a systemic security win. This isn’t necessarily an indictment of the TSA—after all, there hasn’t been a successful terrorist attack against a U.S. jetliner in almost 10 years. But one can’t help but feel that banning toner cartridges or sporks has, or will, have little to do with that. The TSA has banned or restricted plenty over the years—box cutters, blades of any kind, liquids, shoes, and now printer toner, to name a few—and during that time spent billions on security personnel and technology, stripped away our rights to privacy, and still some terrorists manage to sneak a bomb deep into the system. As I said above, this was an intelligence win, which reinforces a point many TSA critics have made over the years: The battle isn’t won at the airport, it’s won in the field. The airport is a flimsy last line of defense, which is why it’s so frustrating to see the TSA cling to its reactionary approach to policy-making. Each time the TSA bans an item or issues an edict about this or that article of clothing or personal possession, there’s a terrorist somewhere moving on to the next idea—adjusting. Again, the problem here isn’t ink cartridges, nor is the frustration with the TSA due to our sudden collective inability to carry on 16 ounces of printer toner (does anyone really care about that?). The frustration is this: Where does it end? 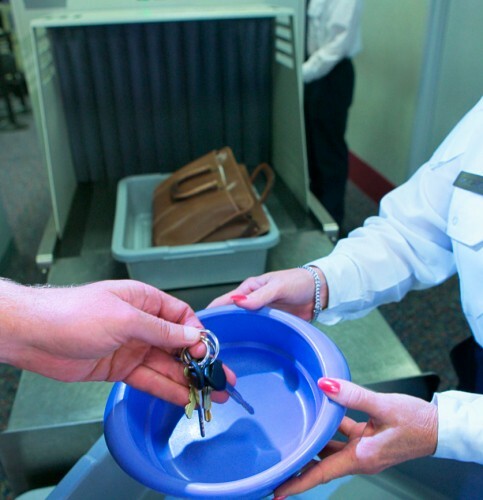 The TSA can’t ban everything, just as it can’t literally strip us naked at security. At some point, we need to move beyond this knee-jerk, ban-everything approach to security and accept that we can’t stop every single threat. But I’m not holding my breath waiting for that to happen.